China has released a draft cybersecurity law which immediately sparked concerns that it is too vague and could signal Beijing's widespread censorship of the Internet becoming even more far-reaching. The ruling Communist Party oversees a vast censorship system—dubbed the Great Firewall—that aggressively blocks sites or snuffs out Internet content and commentary on topics considered sensitive, such as Beijing's human rights record and criticism of the government. The proposed legislation will "ensure network security, (and) safeguard the sovereignty of cyberspace and national security," according to the draft law, which was posted Monday on the website of the National People's Congress (NPC), the rubber-stamp parliament, but reported by state media Wednesday. Netizens could not "disturb the social order, (and) harm the public interest," the proposals said. Ever-tighter limits on rights have been rolled out since President Xi Jinping came to power, and China recently launched a national security law which expands its legal reach over the Internet and even outer space. That legislation drew a wave of criticism from rights groups and businesses, and the draft cybersecurity law is also causing concern. "We have some concerns that it will take a lot of the censorship practices that are currently being used but are not formalised, and codify them into law," William Nee, China researcher for UK-based Amnesty International, told AFP. "It will definitely mean more censorship and probably increase penalties for people who say things that the Chinese government doesn't like," added Nee, who is based in Hong Kong. Joerg Wuttke, president of the European Union Chamber of Commerce in China, said his organisation was still reviewing the draft. "But I am worried," he added. "The chief concern is that, as with many Chinese laws, the language is vague enough to make it unclear how the law will be enforced." 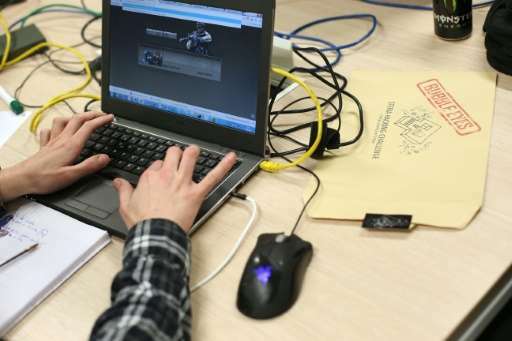 Authorities in 2013 launched a wide-ranging crackdown on the Internet, targeting activists and focusing on what it claimed were "Internet rumours". Hundreds of Chinese bloggers and journalists were arrested as part of the campaign to assert greater control over social media, which has seen influential critics of Beijing paraded on state television. Under regulations announced at the time, Chinese Internet users face three years in prison for writing defamatory messages that are re-posted 500 times or more. Web users can also be jailed if offending posts are viewed more than 5,000 times.